Ice time is good for the soul. Staring at a hole forces me to slow the pace of life. Watching a vexilar is my addiction. I need it and I cherish it. I know that I'm not alone in this. Now is the time. 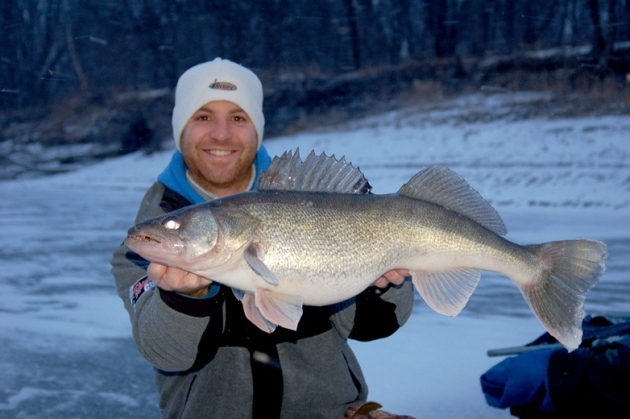 Ice is good and the fish are biting. Get out there and catch a swine. Pictured above is a shot of a Christmas Eve giant. I must have been good this year to deserve this one. She pushed the 12 pound mark. A true giant that humbles me every time I look at her giant frame. Truly spoiled. Until the next trophy encounter surfaces, keep on livin' the dream!